Brian Clough. Enough said, really. He was the driving force and the mastermind – along with his accomplice, Peter Taylor – behind Nottingham Forest’s golden period between 1977 and 1980. Clough’s genius, and it was exactly that, for he also dramatically transformed Derby County five years earlier, stands today as one of the defining eras in modern day football. When Clough stepped down in 1993, a tearful shadow of his former self, he brought to an end a moment in time that still takes some believing. Little wonder they’ve made a film about it. The fact that Clough brought such shining baubles to the City Ground, mostly with a team of transformed journeymen, is the stuff of legend. Without Clough, the Forest story just would not have happened. Nottingham Forest were a club going nowhere in 1972. Relegated from the old First Division, they were one of the top flight’s makeweights. True, they had some good players at times, but not always in the same line-up. Ian Storey-Moore was one such player, but he flew the nest in 1972 to join Manchester United (after an aborted attempt by Clough to take him to Derby). 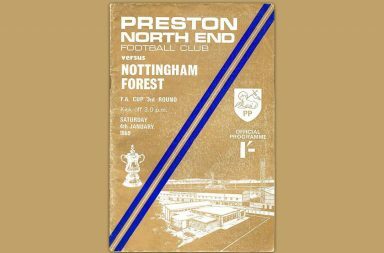 After finishing runners-up in 1967 and reaching the last four of the FA Cup – in themselves an achievement – Forest finished 11th, 18th, 15th, 16th and finally, 21st. Life in Division Two was scarcely better – in 1972-73 they ended up 14th and a year later, climbed to 7th. They did reach the last eight of the FA Cup in 1973-74, but overall, Forest had clearly lost their way. Brian Clough managed Derby County between 1967 and 1973 and led a somewhat unfashionable club to the Football League title in 1972. There was always an element of Clough being bigger than the club and certainly the people in the boardroom, so he was difficult to handle. It all blew up at the Baseball Ground and Clough called the bluff of the board and resigned. They’d had enough of a monster they were having trouble managing and they let Clough and his partner, Peter Taylor, leave the club. Clough went on to manage Brighton and then – ill advisedly – Leeds United, where he succeeded the patriarchal Don Revie. Clough had criticized Leeds’ methods over the years so the relationship was soured from the start. He lasted just seven league games, winning one, before being sensationally sacked in September 1974 after 44 days in charge at Elland Road. He joined Nottingham Forest in January 1975. At the same time, Clough’s name was always linked with the England job, but his forthright views and reputation of being somewhat loose with his opinions, meant the FA would never opt for such an unpredictable character. Clough’s first game in charge of Forest was a FA Cup third round replay at Tottenham on January 8 1975. Forest won 1-0, thanks to a Neil Martin goal, but it was not until April 1 that Clough picked up his first league win, 1-0 against Sheffield Wednesday at the City Ground. It was hardly inspiring. In 1975-76, Forest finished eighth in Division Two, rarely threatening to break into the promotion-chasing pack. There was nothing to suggest that two years’ later, Clough’s men would shock the nation and lift the biggest prizes. In 1976-77, they kept pace with the challengers and at the turn of the year, they were in fourth place, but highly-fancied Chelsea, Wolves and Bolton filled the promotion places. By Easter, Forest were in the top three and they stayed there, despite Bolton’s challenge. Forest were promoted, but considered to be the weakest of the three that went up. There was no hint that Forest would be title contenders in the first few games, although they did win their opening three, losing for the first time in game four at Arsenal. Forest’s poor defensive display that day prompted Clough to pay £ 250,000 for goalkeeper Peter Shilton and from that moment, Forest were better organised and almost unbeatable. They lost two more league games in November (Chelsea and Leeds away) and that was it – Forest went 28 games unbeaten and carried that run into 1978-79. A number of startling victories changed the media’s perception that Forest were merely mechanical and unexciting. They won 4-0 at Old Trafford, beat Ipswich by the same score at the City Ground, refused to lose to Liverpool and turned the tables on Arsenal. Forest clinched the title at Coventry on April 5 with a 0-0 draw. Shilton pulled off a string of outstanding saves to ensure Clough made history – lifting the title with two clubs. Clough’s strength was bringing out the best in players who were not necessarily the most gifted or well behaved! Shilton, arguably the best goalkeeper of his generation, was different, but the other Clough acquisitions were largely considered to be “journeymen”. Kenny Burns, for example, was a self-confessed “bad boy” who had plyed his trade as a striker with Birmingham. At £ 150,000, he was a bargain and Clough immediately converted him to a central defender. He had an outstanding season and became a fixture in the Scotland line-up. Larry Lloyd, like Burns, had fallen into bad habits after a career with Liverpool and Coventry, but Clough squeezed some good years out of the towering centre-half. John Robertson had been at Forest for years, but was overweight, unfit and flettered to deceive. Under Clough, the winger became one of the country’s most coveted players. Archie Gemmill was supposed to be past his best, but Clough lured him from Derby for £ 25,000 and in a short spell, his foraging was criticial for Forest. Clough also raided his old stamping ground for John McGovern and John O’Hare, both of whom had served him well at Derby and Leeds. In midfield, Martin O’Neill developed into a fine player and Ian Bowyer, who had been a promising youngster seven or eight years’ earlier, became a hard-working and versatile player. Up front, Peter Withe, a player that defined the word “journeyman”, scored goals and brought others in to the action – players like Tony Woodcock, who went on to play for England. There was also a promising young full back, Viv Anderson, who developed into one of England’s best full-backs. In 1977-78, the regular Forest team comprised of: Shilton, Anderson, Barrett, Burns, Lloyd (Needham), McGovern, Bowyer, O’Neill, Gemmill, Withe, Woodcock, Robertson. Top scorers were Withe and Robertson (12 goals each), with Woodcock one behind. As well as lifting the league title, becoming only the fifth promoted side to win the championship at the first attempt (Liverpool 1906, Everton 1932, Tottenham 1951 and Ipswich 1962 were the others), Forest also won the Football League Cup, beating Liverpool 1-0 in a replay. It was almost a glorious and unprecedented treble, but West Bromwich Albion beat Forest 2-0 in the quarter-finals. Forest played 42 league games, winning 25 and drawing 14 (64 points). They conceded just 24 goals, scoring 69. They were seven points ahead of Liverpool in second place. Forest won the European Cup and Football League Cup in 1978-79. Their European Cup campaign began against holders Liverpool and once more, Clough’s team frustrated their rivals. The first leg, a 2-0 win at the City ground, saw the emergence of Garry Birtles, an unknown striker plucked from non-league. Forest went on to overcome Liverpool 2-0 aggregate, AEK Athens, Grasshopper Zurich, Köln and then in the Munich final, Sweden’s Malmö. The winning goal (they won 1-0) was scored by Trevor Francis, who had been signed from Birmingham City in mid-season for £ 1m, the first player to cost as much in England. Forest went on to emulate Liverpool and retain the trophy. On the way to the Madrid final, they beat Swedish champions, Öster (3-1), Arges Pitesti of Romania, East Germany’s Dynamo Berlin and Ajax. The game against a Hamburg team that included Kevin Keegan was a dull one and won by a single goal from John Robertson. In 1980-81, they went out at the first hurdle, losing to CSKA Sofia. How good was this Forest team? 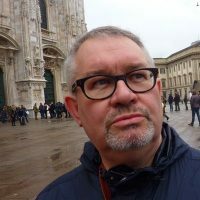 As Football League champions, Forest did not have the flair or technique of say, Manchester City of 1968, Leeds of 1974 or even a multitude of Liverpool sides. They were often accused of being functional but were always well disciplined, as all Clough sides were. They had some moments of sublime skill in their locker, and at times, they could play with devastating ruthlessness. Clough and Taylor were an excellent partnership that got the best out of their players – and that was certainly the case in 1977-78. Today, the Premier League generation would find it hard to believe just how good that Forest team were and equally, how brilliant and insightful Clough really was.